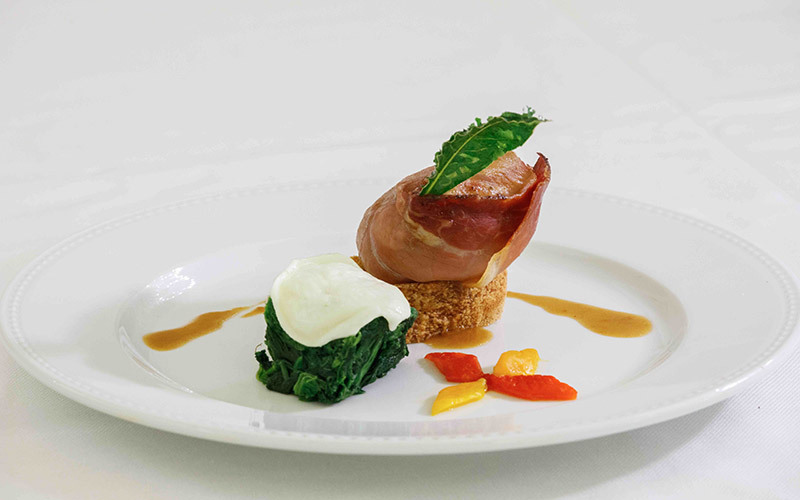 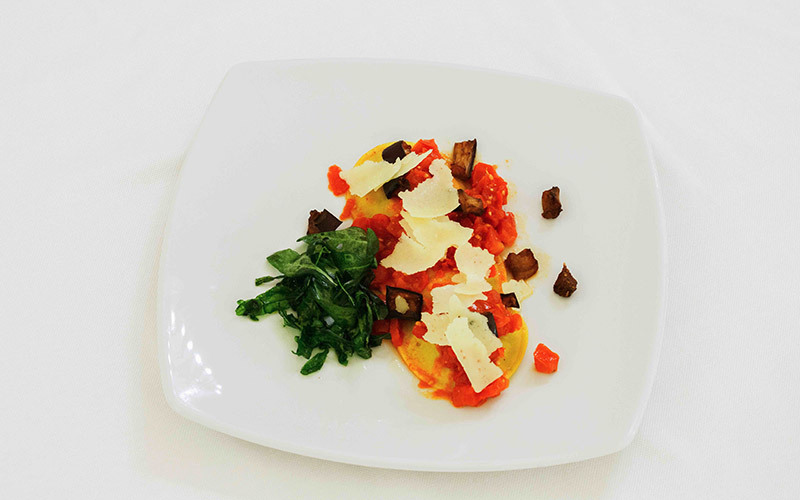 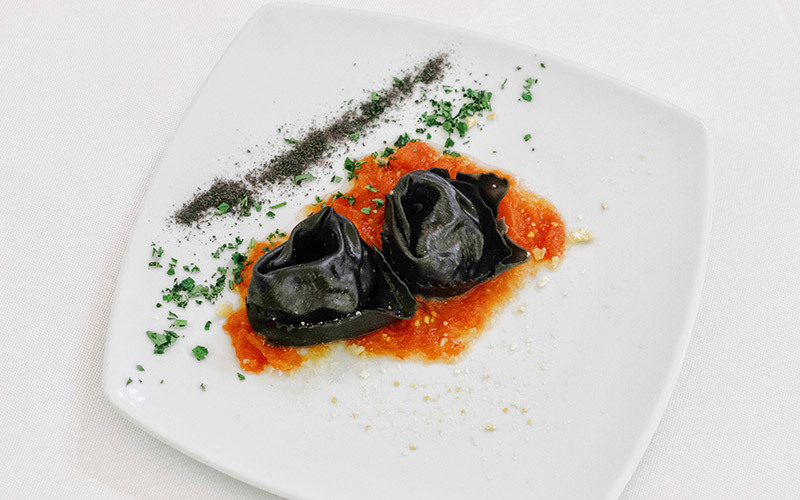 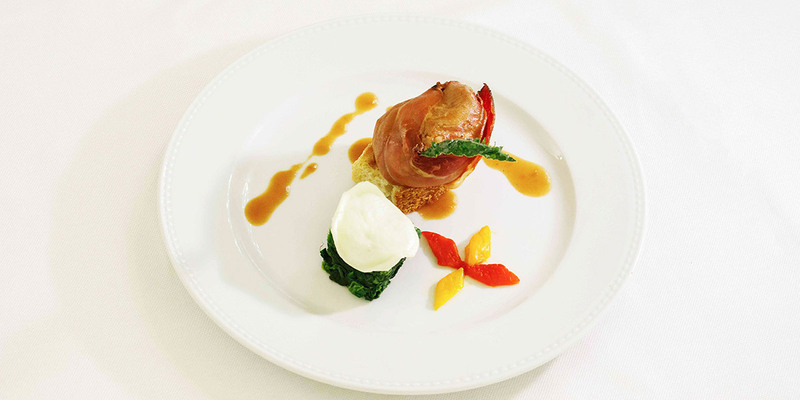 In Casale Cisternino one can experience an excellent art of cooking. 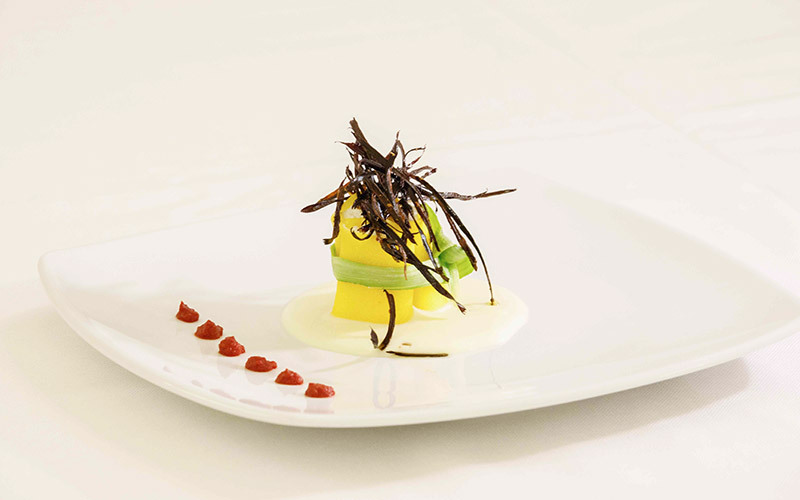 Every recipe is thought as a tasting gift to satisfy everyone's palates and give them an emotion. 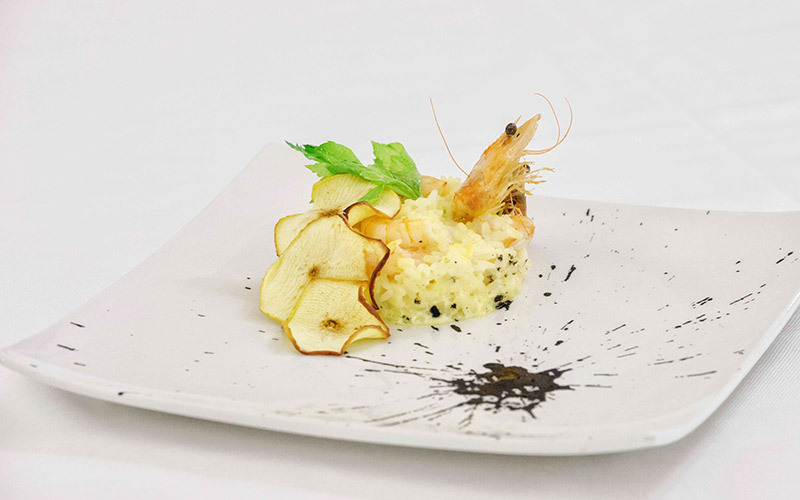 Our chefs are able to propose a special mix of innovation and respect of the tradition, but also introducing some elements from an international cooking. 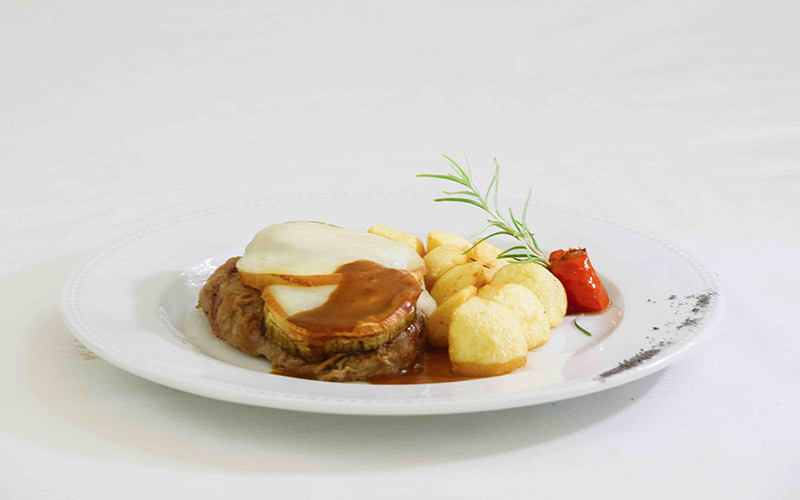 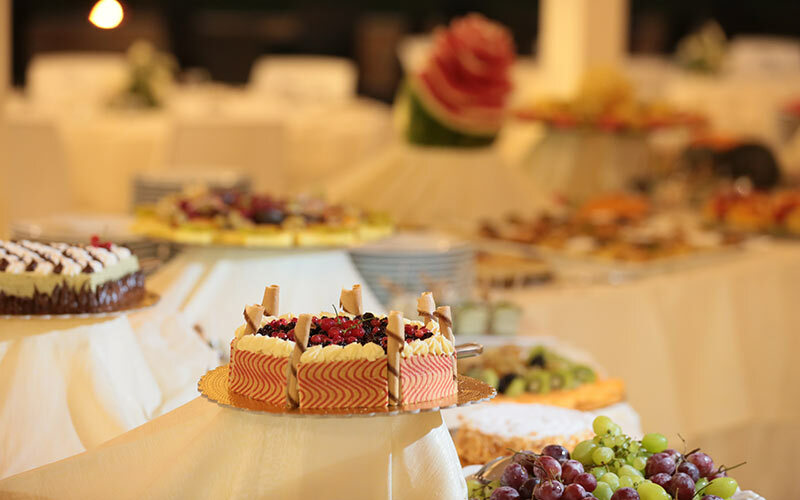 In any case, we always wisely choose the ingredients, to make special banquets. 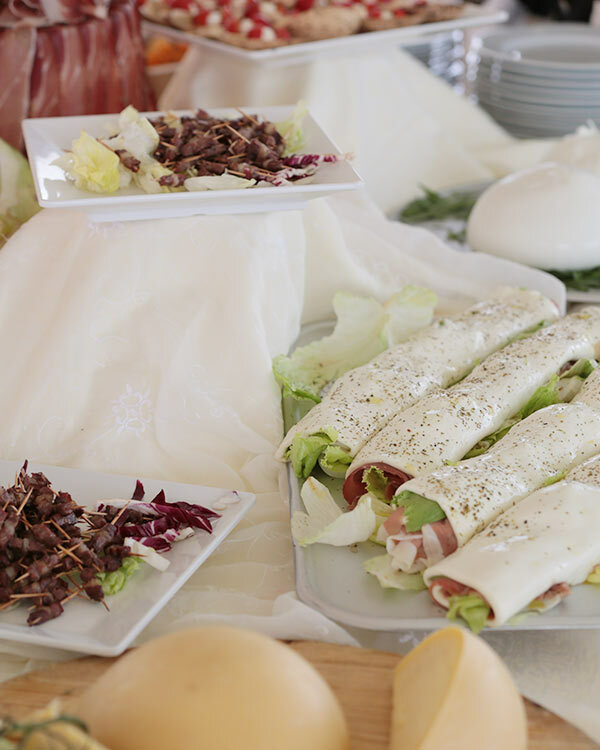 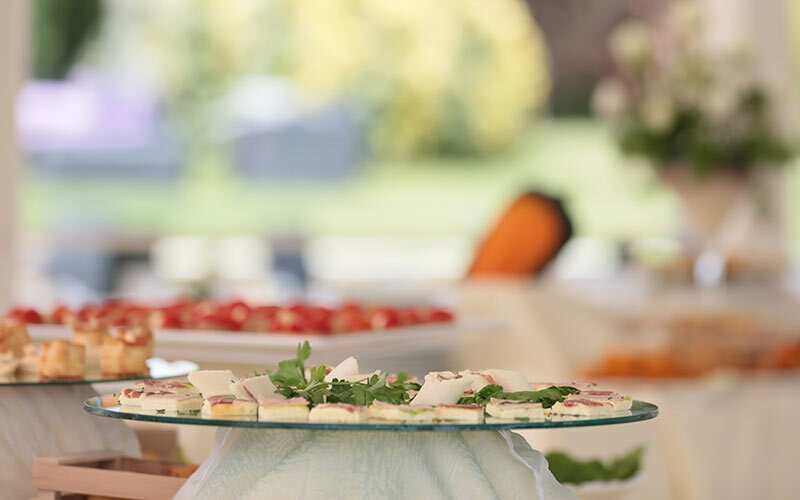 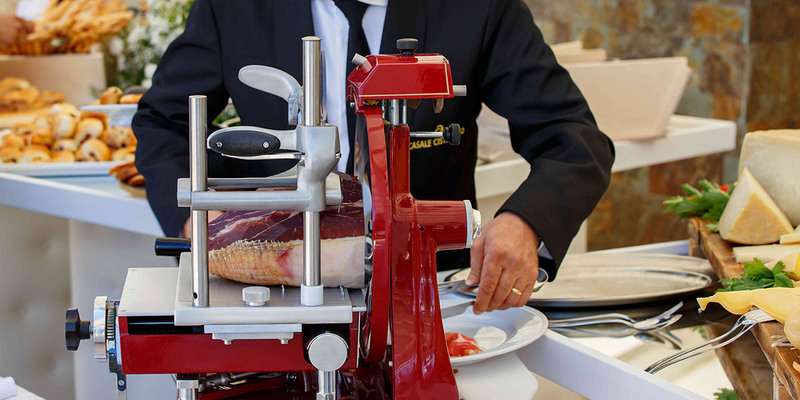 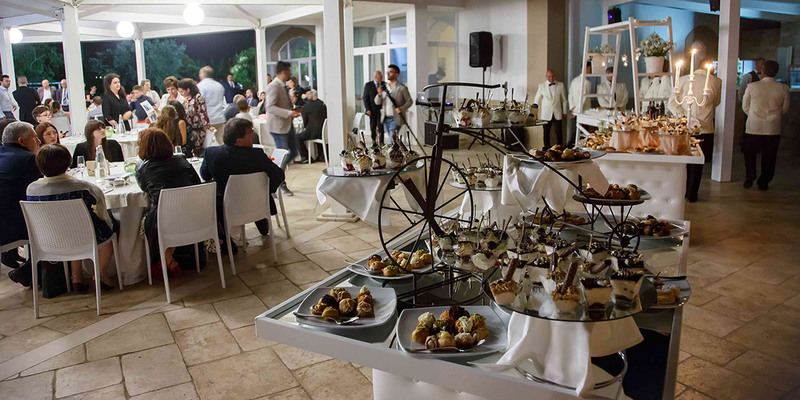 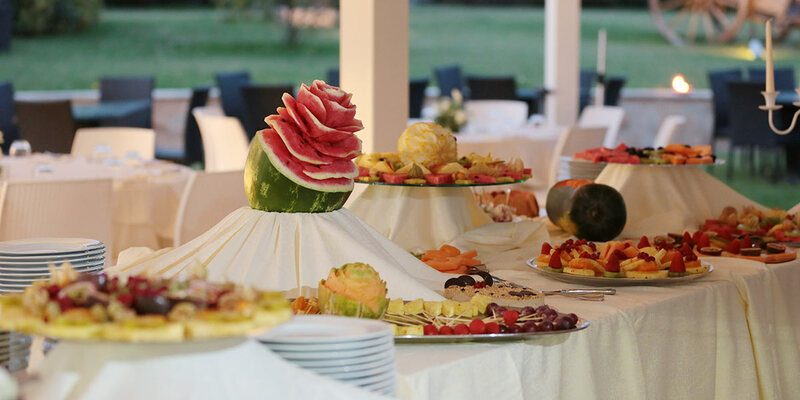 There is only one rule in Casale Cisternino: choosing with care the ingredients and mixing them in a wise way, to give life to special banquets. 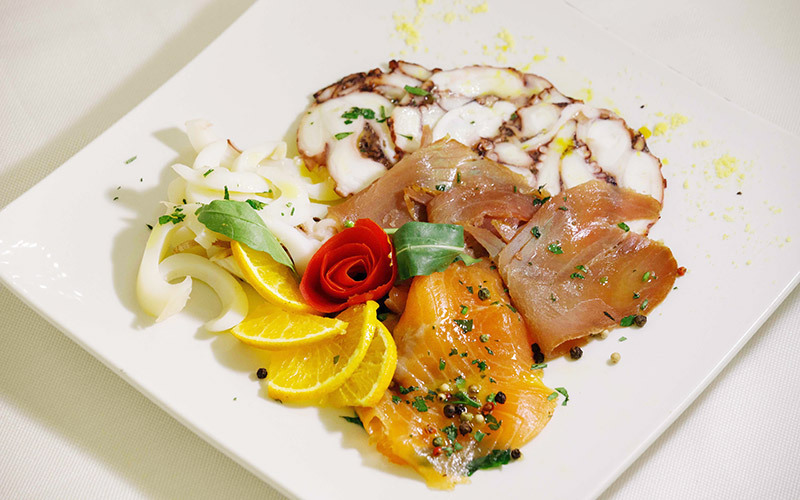 The excellence in Casale Cisternino is clear above all in the cooking. 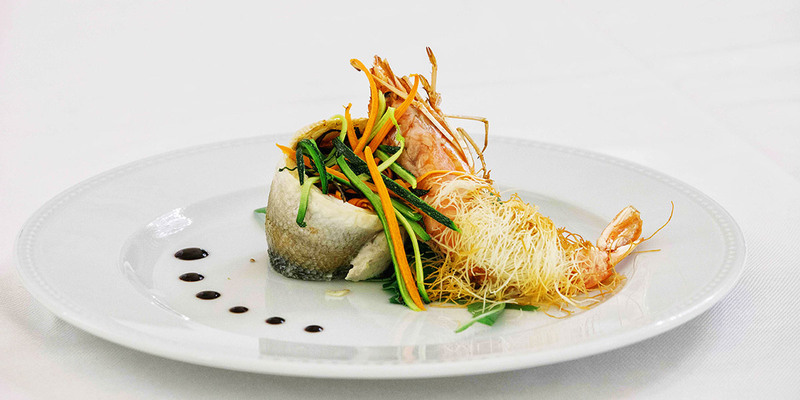 Our recipes rely on the seasonality of the ingredients, that are selected with a great attention and are turned by the creativity of our chef into really tasting dishes. 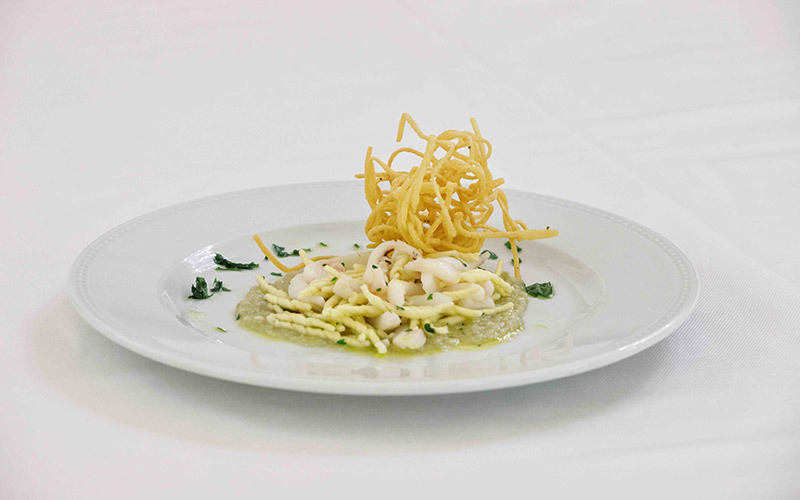 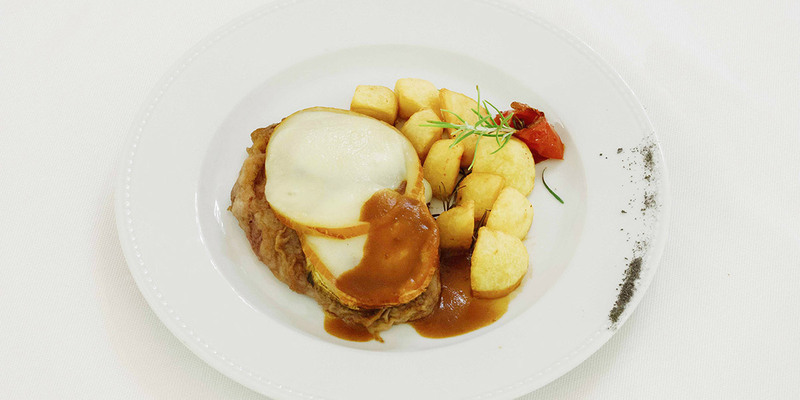 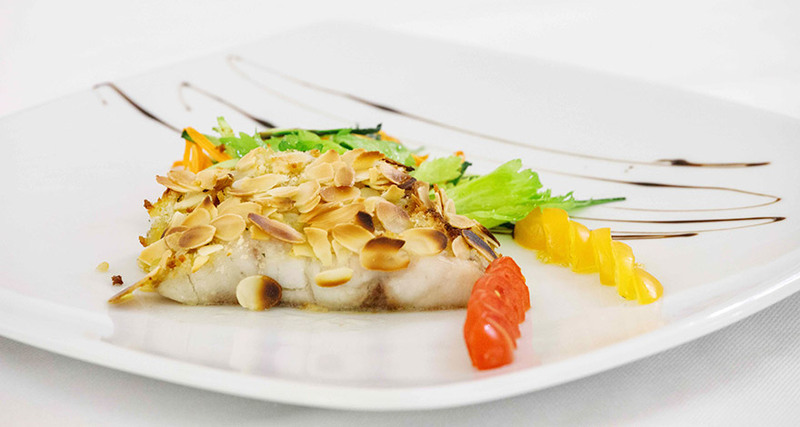 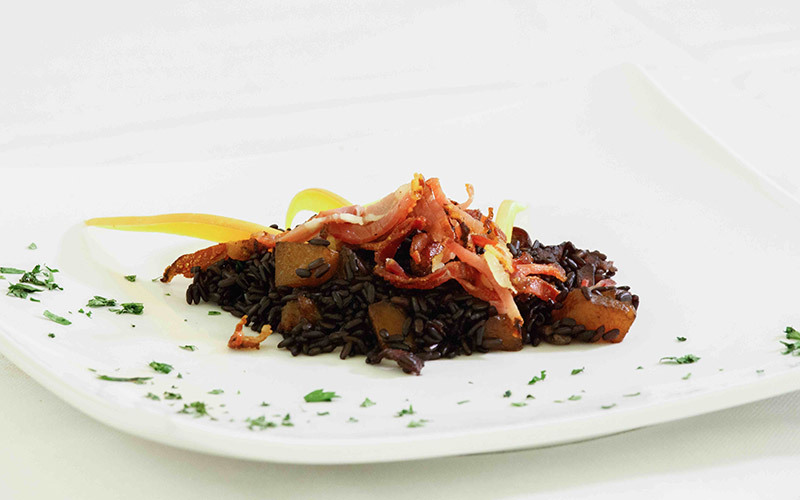 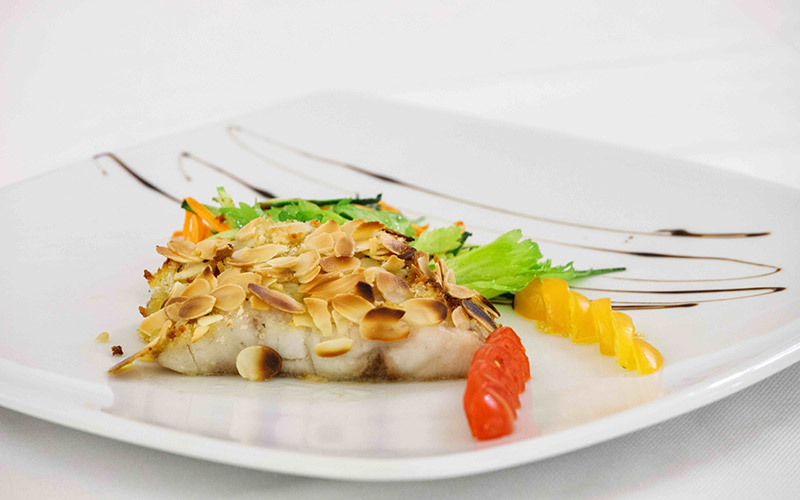 Our excellent cooking has Italian and Mediterranean influences, that cause divine tasting feelings. 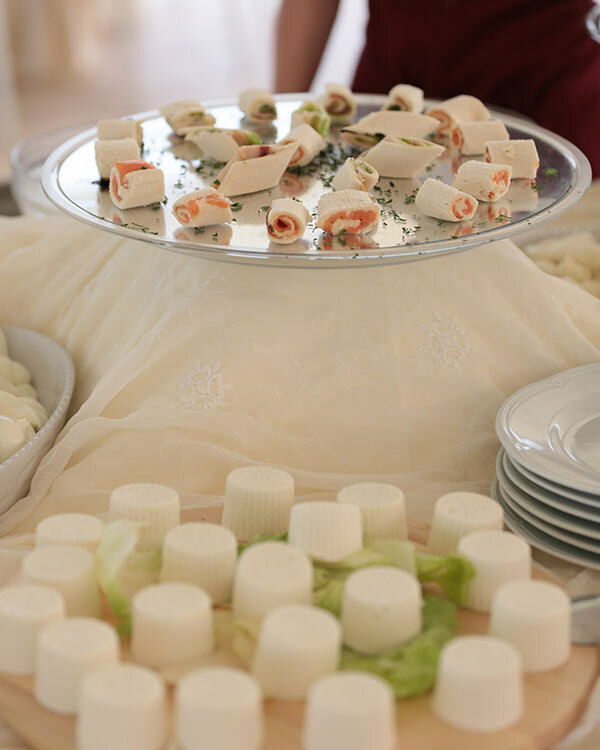 The presentation is really cared too, by giving a lot of attention to the shapes and the colors, so that every banquet can be an experience able to involve all the senses. 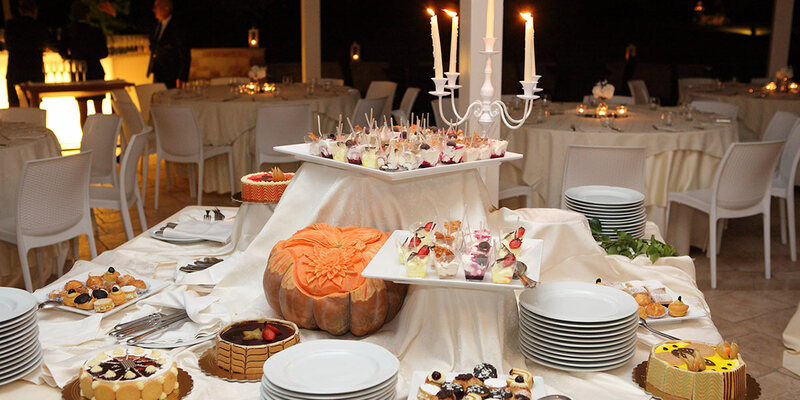 Casale Cisternino give to all the couples a precious banquet, as their love is. 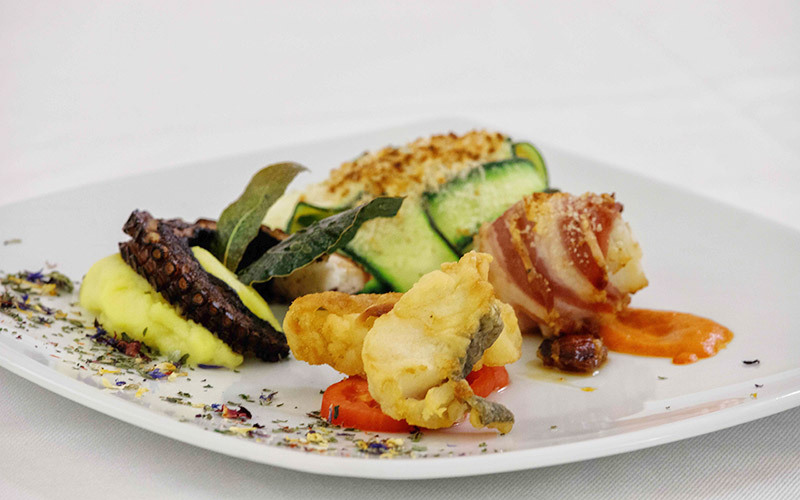 Once again, Casale Cisternino surprises with its innovative cooking, that is able to give one new gastronomy feelings, thanks to a healthy and balanced cooking that merge together all the senses. 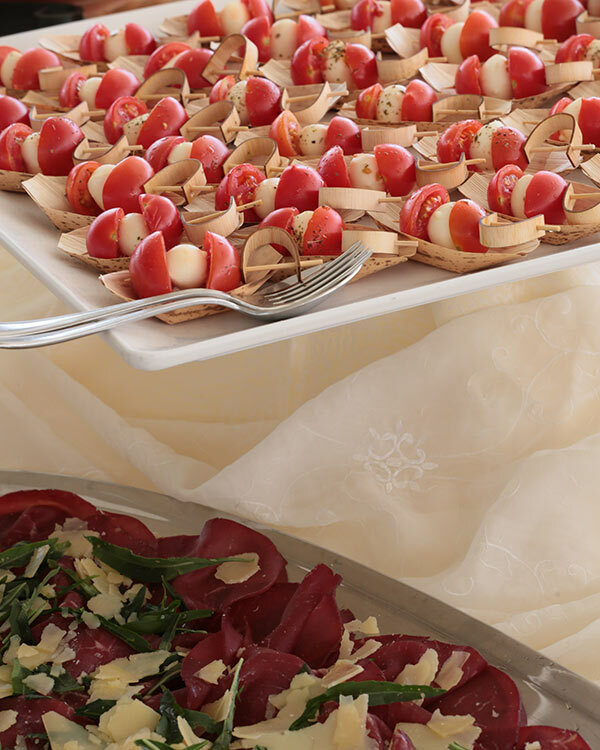 The beauty of our Finger Food, proposed for our appetizers, and their delicacy will make every nuptial banquet a unique experience. 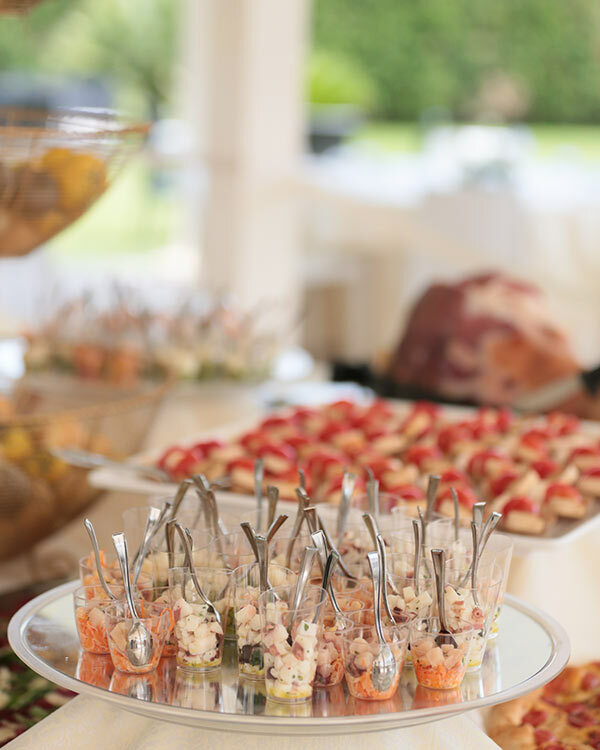 Tastings, in elegant little glasses or on precious spoons, will give a touch of style and elegance to your reception. 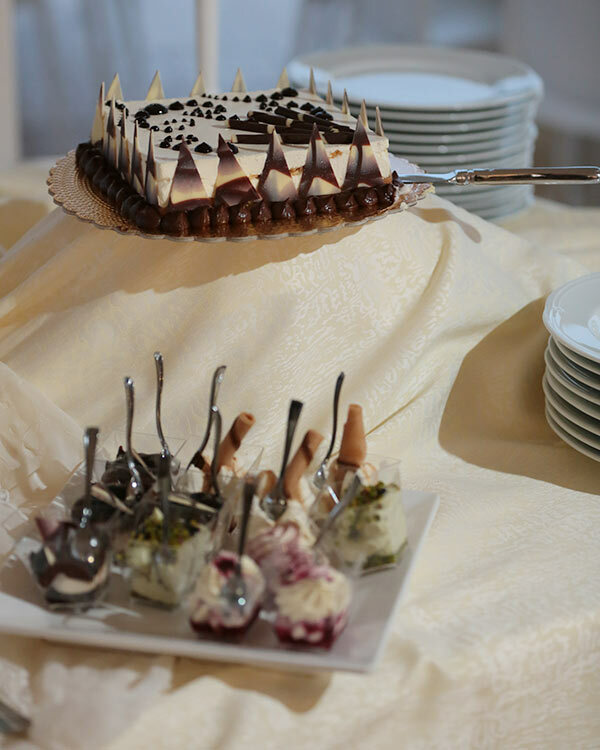 The real main characters of our sweet buffet. 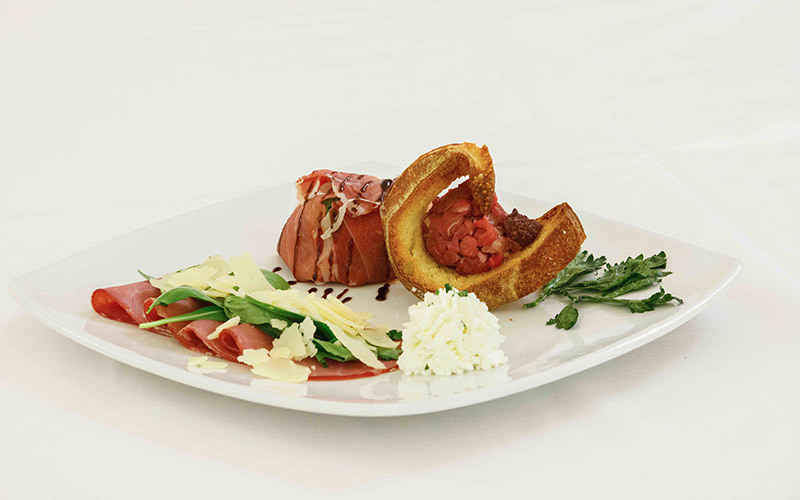 A show of shapes and colors to be tasted and that hit thanks to the elegance and the taste itself. 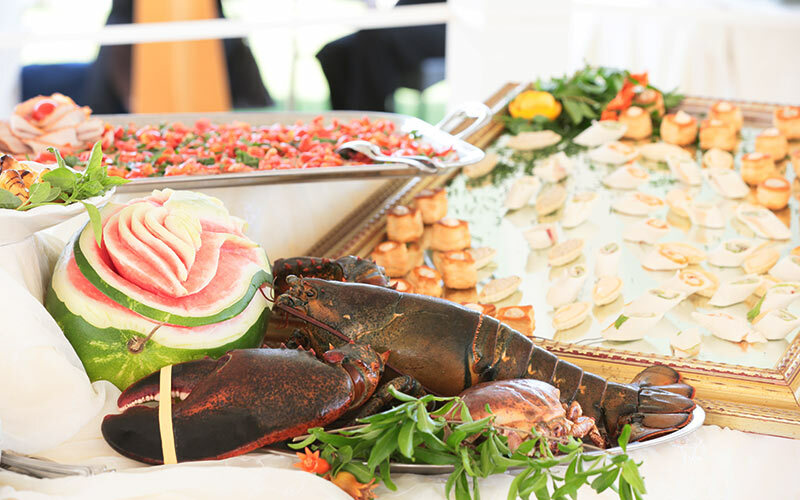 Unmissable tastes for everyone. 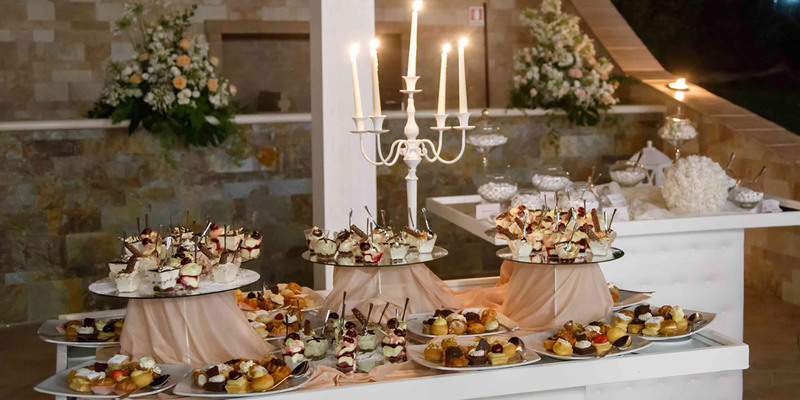 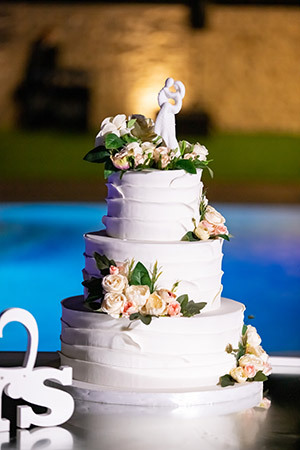 The care paid to the details, the sweets that are decorated with fresh fruit and chocolate, the wide range of pastries are a delicacy first of all for the eyes and then for the palate. 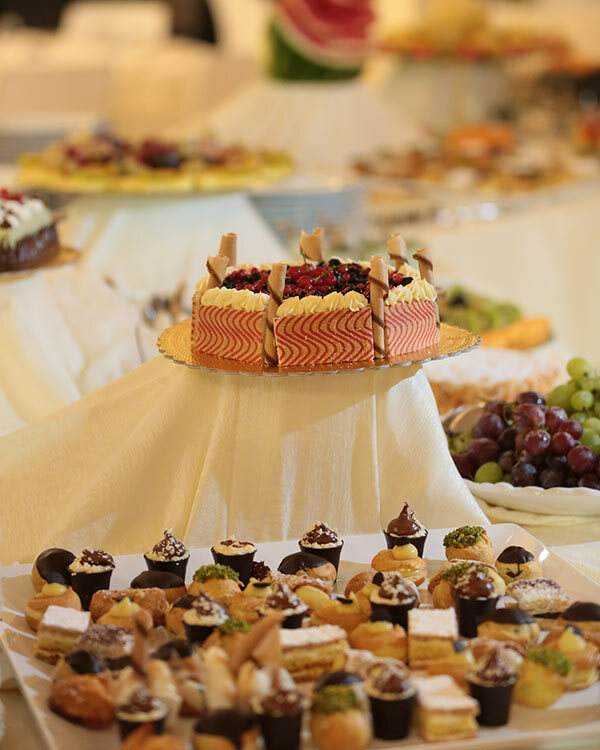 The high quality and the freshness of our finger dessert will make any buffet simply perfect. 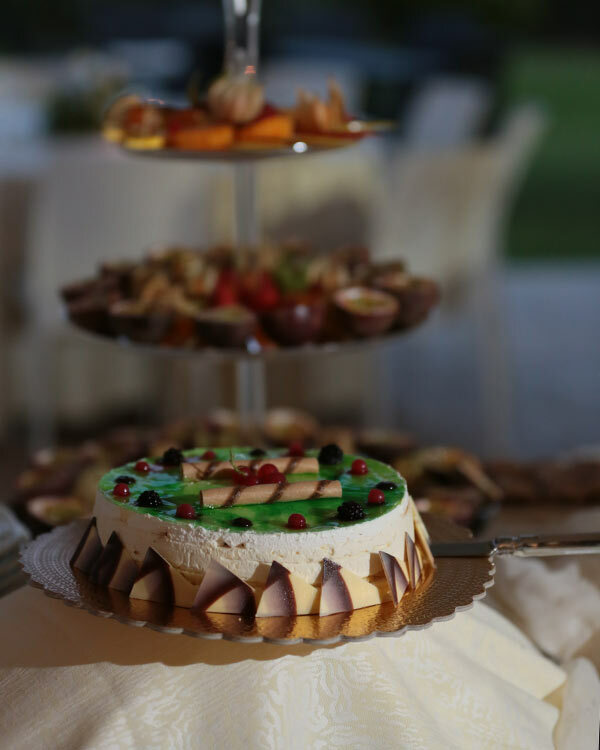 Casale Cisternino proposes you a sweet travel into the taste.